2 Bedroom End of Terrace House For Sale in Robertsbridge for Guide Price £315,000. 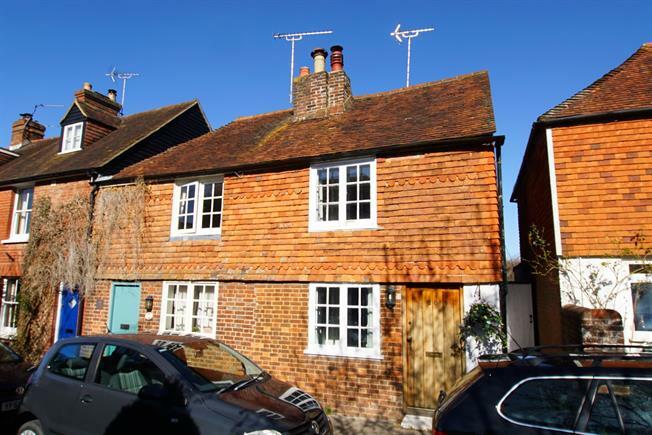 A lovely extended, end terrace character listed cottage, presented beautifully by the current owners with comfortable accommodation over two floors. Bespoke kitchen and dining room extension, period sitting room, two double bedrooms and bathroom facility. Level rear mature garden, gated side access.